*This post is in no way sponsored. 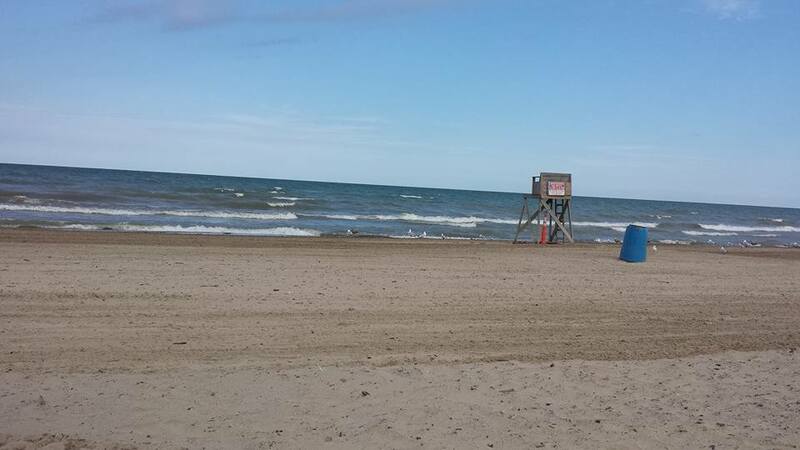 Are you looking for a beautiful beach to spend time with friends or family? 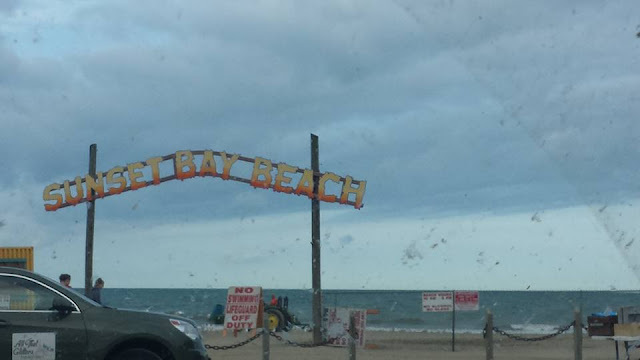 A friend of ours and I had been planning a fun day trip to a beach in Irving, New York called Sunset Bay Beach and it's only about a two hour drive from us so it wasn't too bad at all travel wise! We got up at 5am and left around 6:45 or 7am, and followed our friend's family to the beach to spend the day there. This was our kids' first time going to a beach and they loved it! Our older three were the ones who actually swam in the water, but I did get our youngest's feet wet a few times and she didn't seem to mind it much. 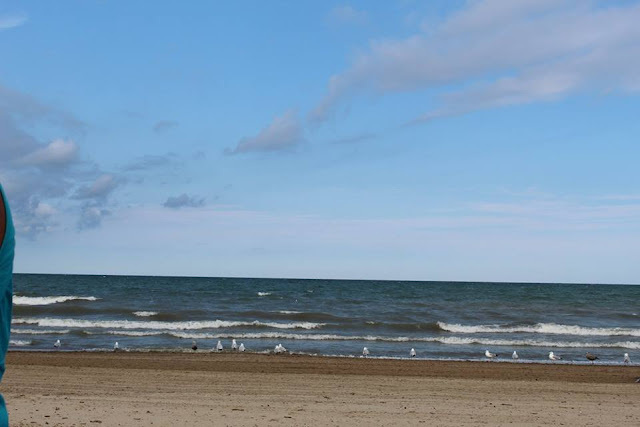 The nice thing about this beach is that it's part of Lake Erie, so the water is fresh water, not salt water like the oceans are. But, this beach still had some fun and good waves to jump in. We all had a lot of fun, especially our kids. Our toddler had an absolute blast and didn't want to get out of the water some of the time! My husband took him in for awhile several times, and then he played in the sand for a good while too and played with a shovel to make a sand castle for himself, with his brother and sister. This beach has some nice places right at it, which was called Cabana Sam's Bar and Grill where you can get food and a drink or specialty frozen drink, in a suvenior cup to take home. The deli we went to which was really close within walking distance of the cabana was really good; we got chicken fingers with fries for our kids, and Philly Steak and Cheese subs for us. My kids would love to find a beautiful beach to spend time with friends and family. Sunset Bay Beach looks and sounds amazing! What a great way to spend some time with family! 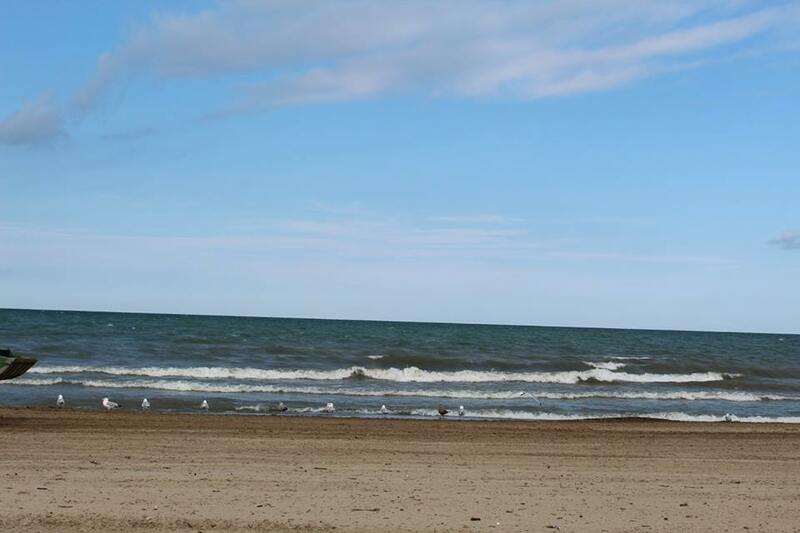 We've gone to Lake Michigan beaches a lot but we've never spent time at a Lake Erie beach. This looks like a really nice beach! 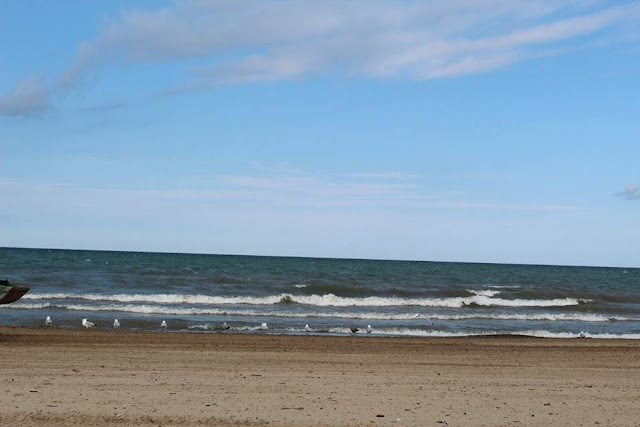 I don'tlike super crowded beaches and this one seems perfect for families! With summer coming to an end, seeing a beach trip makes my heart happy. It looks like such a lovely destination to get away from the hustle and bustle. We live by the beach in Florida. That is definitely our happy place! To me, there is no better place to be than by the water. Sometimes all you really need is a beach and a good restaurant! Sounds like a lovely way to spend some vacation time. This would be a great place to take the younger kids to enjoy playing in the sand and in the water. Since it is fresh water, there will be no stinging of the eyes. 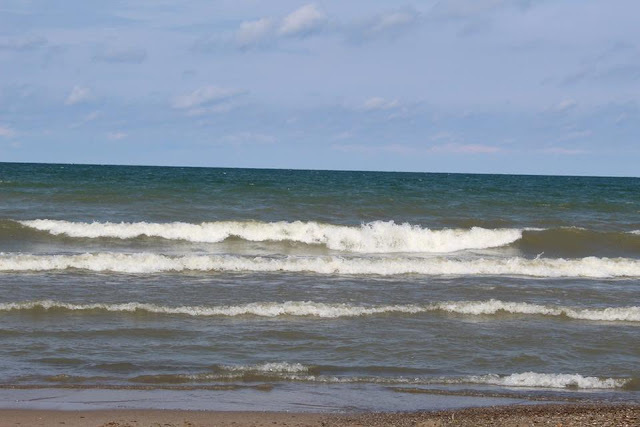 Haven't been to any of the Great Lakes yet, but would love to! We have to do this next summer. I don’t know why, but when I think of NY I never think of beaches! It looks nice and peaceful there though. Looks like you beat the crowds! My kiddos totally want to go to the beach. Sunset Bay Beach looks like a great place for a family to spend the day. I love going to the beach! It's one of my favorite things to do. I have family in New York so I'm going to have to check this beach out next time I go visit them. I love the beach...I wish I lived closer to a beach. Even though I'm spoiled by San Diego, I often miss the unique charm of New York beaches. From the small restaurants that line the beach to the fresh water, Sunset Bay Beach seems like the perfect place to spend a quiet day away from the city. We were saying the other night it's time for a trip to the beach. The grandchildren have been asking to "go play in the sand". We live in Maryland so it can easily be a day trip if we miss the traffic. Sunset beach looks lovely. I hope to see it someday. This sounds like a great way to spend a day! I love the beach and quiet beaches are the best!